Does any insurance pay for eldercare consultation? Usually insurance or third-party payers do not reimburse for geriatric consultation or geriatric care management. Geriatric care management is provided on a fee-for-service basis. In some cases, a person’s long-term care insurance policy will reimburse a geriatric care evaluation as part of home care services in order for a senior to live at home instead of having to live in an alternative senior care setting such as a skilled nursing facility. Medicare and sometimes private insurers will reimburse for psychotherapy or counseling services only when the geriatric care manager is licensed to practice psychotherapy services, and participates in the insurance company’s approved listing of credentialed providers. Never begin services without a review of the fee schedule in advance, and make sure that there is a clearly defined service agreement or termination clause. How do I know when it is no longer safe for my parents to live at home? Promoting health and safety are of primary importance and measures need to be taken to secure a senior’s well-being in his or her daily living environment. How unsafe is unsafe? There are some telltale signs such as an older adult getting lost, perhaps by wandering outside and being confused and disoriented to his or her location and residence. Finding spoiled food and expiration dates on food products long past the date of safe consumption cause illness and can be life threatening depending upon an older adult’s medical condition. A person’s sense of smell and taste can be compromised by Alzheimer’s disease or related dementias. Forgetting to turn off the stove, oven, or any other appliance presents a potential risk for fire. Additionally, determining whether a person can explain and execute a plan on how to respond to a fire or an emergency becomes a vital life-safety factor. The incidence of falls, with or without injury, and how or why a person fell can be an indication that it is no longer safe for them to live at home. Also, memory problems or cognitive deficits can become problematic and contribute to mistakes when it comes to an older adult’s ability to reliably take medications. The convergence of these signs (red-flags) brings a greater risk and even a greater likelihood that an elderly person may no longer be safe living at home. Even one single episode, if serious enough, may be the signal needed to arrange for alternative solutions to promote health and safety. Lastly, a caregiver’s emotional tolerance to assuming risk may influence how and when they make decisions. I live a long-distance outside of Philadelphia, what can I do to keep my father safe? How do I get my father to stop driving? I am afraid for his and for others’ safety. Giving up driving is one of the most threatening things to a person, more so with the elderly because it means loss of independence. Taking away the car or car keys symbolizes that the decline of aging has arrived, and with it, compromised freedom of mobility. Much of what we have to say about safety depends upon what causes the senior being unsafe. Are there cognitive problems? Are there physical problems or medical conditions? Are there any fender benders or accidents? Usually you want to start the discussion with your parent(s) in advance of an event, by asking them to identify the factors that would need to be present in order for them to stop driving. Ask who they know who has stopped driving, and for what reasons. You should also contact the primary care physician for assistance in stopping your father’s driving. In many States, laws require a physician to report Alzheimer’s and related conditions to the State Department of Motor Vehicles. Occupational therapists are another resource in which specialists can evaluate a person’s ability to operate a motor vehicle. Please note that a formal assessment may seem threatening, especially if it is pass or fail and may trigger resistance from your father. Some seniors prefer assessments that give them tips on being a better or safer driver. You may locate an occupational therapist by contacting the American Occupational Therapy Association (http://www.aota.org/Older-Driver/Specialists.aspx), or local hospital that employs occupational therapy driving specialists. Often the American Automobile Association’s (http://midatlantic.aaa.com/ Foundation/SeniorDriving/)local chapter may have specialized classes and tips on safe driving for older adults. What kind of housing options are there for my mother? I don’t know where to start looking and what to look for? Determining the best living option for your mother will depend upon her level of functioning and the level of care required to meet her needs. A comprehensive geriatric care evaluation provides for an opportunity to gather information, identify needs, and make recommendations. The evaluation is designed to assess a person’s emotional/social needs as these relate to a person’s level of independence, health status, cognitive function, and capacity to live in the environment desired. The evaluation process focuses upon a person’s health and daily functioning, mental health status, safety, support systems, financial means to afford in-home and healthcare options, and overall quality of life. The range of living options are many and include in-home services, adult day programs, live-in assistance, assisted living facility or personal care facility, or nursing home. Consider the least restrictive or least disruptive option first, and determine whether it is affordable. My parents both have living wills, but what is an advanced directive? A living will can be one component of an advanced directive. A living will may contain information and written instructions regarding the withholding of certain medical treatment in life-sustaining care such as in the case of permanent unconsciousness (i.e. irreversible brain damage/injury), or a terminal condition with no reasonable expectation of recovery. A living will may also direct certain types of treatment or care for certain medical conditions and diagnoses. Another type of advanced directive pertains to a Health Care Proxy which involves a person appointing another person to make medical decisions on their behalf in the event that the person is unable to do so. This advanced directive helps the person, known as an agent, make decisions based on the circumstances at a time when decisions need to be made. The agent acts with the knowledge of what the person desires regarding treatment or care. A power of attorney (POA) is a legal document executed by a person, while competent, giving another person (your agent or attorney –in-fact) the right to make certain financial, property, and other legal decisions. My mother refuses having any help at all. How can I get her to accept help from someone? This can be troubling and frustrating for you especially since you see that a need exists and resistance from your mother is experienced. First, there are some factors to consider like acceptance of help being emotionally based. No one is eager about becoming dependent. Perhaps your mother has learned self-reliance, values her independence and does not want to be perceived as a burden. Resistance to receiving help may manifest when a person is feeling threatened by uninvited change, and is fearful of the unknown. 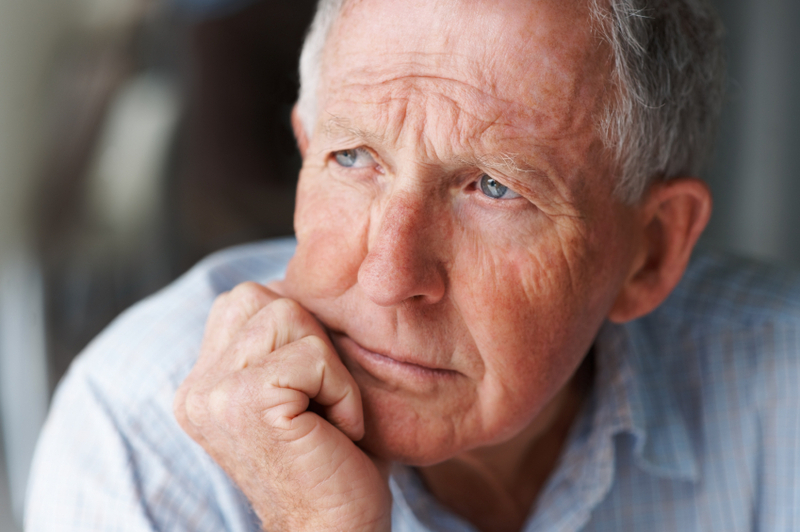 Sometimes a senior’s ignorance and denial of health decline results in a person thinking there is no need for help. Decline in cognitive status as evidenced by poor judgment and lack of insight contributes to not wanting help. An older adult wants privacy and control of their circumstances (not wanting someone else to take over). Control over money and wanting to retain it is often tied to believing they do not have enough money, and cannot afford care. When help is refused, consider adjusting your expectations in light of the above factors. Gaining an understanding of the basis of refusal (resistance) can actually gauge how we respond with a targeted intervention. I am burned out and exhausted in dealing with my parents. How do I get some help? Your parent’s circumstances are unique and what you have been dealing with can be emotionally draining and physically fatiguing. A self-assessment of how you have been involved with your parents is a starting point so one can determine what ways you may need support. Once an understanding of your needs are determined, you can be empowered to take any number of steps such as participating in a care giver support group, arranging for respite care for your parent(s), obtaining services for your parents to off-set the demands upon you, or consulting with your primary care physician who can assist in referrals to a behavioral health professional who can help with problems such as anxiety and depression. Please contact Gary if you would like further information on any of these subjects or have any other questions addressed.